← A Shocking Moment in Glasgow Sheriff Court! Dundee’s “Rescuer” Keyes Capital – Remarkable Change in Investment Strategy? Dundee Football Club has had its share of financial trouble over recent years. Administration (twice). The ruinous Marr Brothers regime. Ravanelli. Caniggia. Giovanni Di Stefano. Arkan. Despite this, and as a result of Rangers own woes last season, they had managed to make it back to the SPL before falling back out of it and missing a last minute reprieve because the SPL decided that Hearts have not quite yet suffered an Insolvency Event. The latest saviour to turn up at the gates of Dens Park is Keyes Capital of Texas, represented by John Nelms. Sometimes I read things that baffle me – this is one of them. The BBC reported on its rescue bid, which is apparently hanging in the balance. Keyes Capital say the chance to bring Dundee straight back to the Scottish Premier League may be missed if their investment offer is not accepted soon. The Texan group are hoping to put £1.5m into the Dens Park club, who have been relegated to the First Division. “Next year is our best to get back up into the SPL,” said Keyes’ John Nelms. “Year two, I’m assuming that the boys from Glasgow [Rangers] are going to be there and that’s going to make it much more difficult proposition. “They find companies that need parts added to them and they turn that £1m business to a £10m business. The manager’s trying to keep the spine of the team and we need to get the players that we have and build around them,” said Nelms. Keyes Capital invest in businesses expected to experience “slow growth”, according to Nelms. “They find companies that need parts added to them and they turn that £1m business to a £10m business over time. We actually starting talking about this quite a long time ago. We looked at other countries, not just Scotland, because we’re looking for the raw materials to build the best players and develop the best players and each country has their own set of attributes and Scotland ticks all the boxes when it comes to the type of player that we’d like to develop. We know that foreign investors are keen on some British football clubs – but a club relegated to the SFL? And how much money have the foreign investors actually made? Is this Dundee investor like Ron Dixon, the reclusive Canadian who owned the club in the mid-1990s? Is this an investment designed to support Dundee as Keyes Capital is owned by long standing Dundee fans? Or is it an investment to make money? It looks like the latter. So who is Keyes Capital and what is its track record in football investment? You can find its website here. Keyes Capital seeks to partner with exceptional professionals to grow the value of our investments over a long-term horizon. So its preference is for companies turning over at least £2 million per year, with committed management teams, a defensible market position, predictable earnings and cash flow, unique products or processes, and in industries where Keyes can add value though its contacts. It prefers various industries, none of which involve sport. Its preferred location for investment is Texas, but it will consider Wisconsin and South Carolina. The top men in Keyes Capital are James and Timothy Keyes. They seem both to be very highly experienced businessmen – but not in the murky waters of Scottish football. Bearing in mind what Keyes Capital says about its philosophy and its past experience, what on earth is it doing seeking to invest in Dundee FC? (With all due respect to Dundee FC). If they see it as a vehicle for “slow growth” then they might be right! Mr Nelms’ words suggest that the plan is to use Dundee FC as some sort of “farm club” to develop young players for sale. If that is a genuine plan, will Dundee fans be happy to be seen as a nursery? Bearing in mind some of the bizarre and remarkable characters who have intervened in Scottish football in recent years, a multi-million dollar US investment company would actually be quite staid. However, and I suspect this might be a reason I do NOT own a hugely successful investment company, how on earth does this Texan company see itself making a worthwhile return on its investments? Has it looked at Dundee’s history? As for Mr Nelms, he is not mentioned on the Keyes Capital website. Maybe he is branching out the company’s business into new areas – quite how he has sold Dundee to his employers as a company with “a defensible market position, predictable earnings and cash flow, unique products or processes, and in an industry where Keyes can add value though its contacts” I do not know. Mind you, if he can persuade Mr Keyes and Mr Keyes to invest, not in Texas, or even Wisconsin or South Carolina, but on Tayside, maybe he will have the magic touch enabling Dundee to rise again! (At least as long as they get promoted before “the boys from Glasgow” get there! Today is the 46th anniversary of a wonderful event that killed the Orcs 45 years later. Cant even get past post number 1 and you make it about Rangers. Says it all really. Aye it says your team, your dead team’s death is being fkn celebrated, big time! Just like Thatcher & Billy wright! Dead & gone! Don’t worry, your pain will disappear with time. Or at least diminish to a festering sore. Jamie: I wish we had time to bury them fellas. Josey Wales: To hell with them fellas. Buzzards gotta eat, same as worms. So, Keyes capital — just like buzzards — need to eat like everybody else. Strange that they are looking to eat Dundee FC but, then, it’s hard to figure buzzards out. Wonder how they will get on with bomber – he likes new owners. I think Scotland is very wary now as to club takeovers, and an element of distrust involved due to recent events. The SFA have done a wonderful job of talking down the game at every opportunity and destroyed confidence. I see from the article linked, that the issue with the investment, may be tied to the fan ownership model. I would advise them to retain the controlling majority, initially, at least! See how the relationship developes and take small steps. Overall, any (honest) investment in the game should be welcomed., and hopefully this will turn out to be the case here. Best of luck to you Dundee in whatever you decide, and I honestly hope that the offer can provide you with opportunity, and that dilligence tests are thorough. Onwards and upwards! Ambition is good, but don’t sell your soul. “We feel that playing in Scotland, a country of five million people, and the media values that gives, is restrictive, not just for Celtic but any Scottish club. ” ..Peter Lawwell. 25th of May 1967 the correct date of Rangers death, one could argue they were a tribute act from that day. Craig Whyte just lowered their coffin & filled in the grave. And for that he has my utmost respect! HH! & OOH AAH! Lifeboats full of Protestant men……sinking ship full of women and children. Read a history book, check the casualty lists. Most men, or whatever religion died. Most women and children lived. Ismay was criticised the rest of his life for sneaking onto a lifeboat. Shameful posts from you and Monti bringing religion into a maritime disaster. I can’t understand anybody getting pleasure out of other people’s deaths. Do you know where the term ” women and children first ” came from? In 1852 HMS Birkenhead foundered, the women and children were sent to the lifeboats, and the soldiers on board were ordered to stand and not move for fear of swamping the lifeboats, Not one of them did. No problem with Protestant valour there, nor in the many examples afterwards. The Titanic went down with the band still playing Nearer My God To Thee. Your post is shocking and a disgrace. All religions were present in the Titanic disaster. These examples from the past contrast sharply with recent maritime disasters, for example the cruise liner that capsized recently in the Med. Even the Italian Captain bailed to save himself. Such a thing would never happen on a British ship. Shame on you and Monti. BTW- the only ( I think , I might be wrong ) Catholic on a loyalist mural is James Magennis VC who during the War sank a Japanese cruiser with a limpet mine in act of astonishing courage and skill. On his return to the Falls Road he was completely ostracized and was forced to leave. Some people will ally themselves with anyone in their hatred of anything British or Protestant. Your post makes you sound like one of them. I smell a rat,,no not you two rockets,,,this wont get much attention as Dundee don’t represent a threat to Celtic.The presence of Bomber is probably enough for the fundamentalist s to pray that Dundee go bust. Honestly can’t see what return is in this for this alleged potential investor. I always thought that mad Vlad was only in it for the Tynecastle ground as a property investment. “I smell a rat”? You got Carson round for tea? Your Titanic posts are a f…..g disgrace, and well as being stupidly wrong. Cam will follow Rangers even though they are dead. The biggest rocket ever to be inflicted upon Scottish football ,,Regan is getting a massive pay rise for overseeing disaster,,,is it true that Ernst Stavro Lawwell and Regan used to work together?,,,and are they still doing so? Conflicted with the Orcs and Campbell Ogilvie more like. Leggo will be beelin as much as you are about this. Do you pish yourself in pubs like he does? Regan is a clown Cam…completely out his depth! The worst thing ever to happen to Scottish football was the now dead Rangers. Their death, and the death to come of the CopyCat club, is and will be the best thing ever to happen to Scottish football. Our game has been in serious decline since the Ibrox outfit decided to use the Bank of Scotland as their own personal EBT machine. Asking for hundreds of millions of £sss in “loans” that would never have to be repaid, courtesy of the generosity of Gavin Masterton. Scottish football is in a poor state, not because of the absence of Rangers, but because of their presence in the past. It will take a while for the game here to recover, but it will. Fittingly, the dead Rangers won’t. Sorry to disillusion you my friend but i can guarantee you that Rangers will not only survive but return stronger than ever. The horrible lies and sweetie wifing about the contingent liability of a tax case is gone,all the bhoys screams of cheating disproved and the fans given a good dose of reality. The Gers fans have been guilty of being lazy and taking for granted that Rangers were untouchable.The level that its enemies would stoop to are being revealed.With every day the desperate attempts to cause more uncertainty are being exposed.We’re at the end game now and payback is coming to the muppets. You can enjoy sitting on your computer or in a theme bar in the Gallowgate reinforcing your wild fantasies to each other,,,we’ll just get on with playing fitba. In 5 or 6 years at best we might have recovered enough to at least give you a decent game. In 20 years the Rangers will be A number 1,top of the heap,king of the hill,,,,,these little town blues,,,,are melting away. if Hibs make a game of it,which i strongly doubt,then i might look at the highlights tonight just to watch the Tasmanian devil go berky!,,a horrible little thing he is,,,nasty nasty little thing. Hate to break the news, but the Lazarus story is just a fairytale. Your verbal guarantee isn’t worth paper its written on, any more than the dead Rangers’ reliability in paying its debts. Its on the back burner pending appeal. If you substitute the words ‘horrible lies’ with ‘disgusting facts’ we’d be on the same page. When the Tribute Act finally succumb to the same fate as their predecessors, you and all the other festering sores of humanity will disappear into the darkness, defeated and humiliated, hopefully never to be heard from again. A fitting end to this scandalous story. More bad news is headed your way old bhoy,,,haud on tight,,it could get bumpy. what happened to that cherished “work ethic” you keep bleating about cam? Also, as if you need reminded, Rangers – GONE!!!! …..the cry was no surrender….’twas the voice of James Connolly the Irish Rebel! Pehaps Keyes foresee possible club mergers in order for survival, and Dens Park could be nice bit of real estate. “Dens Park could be a nice bit of real estate” FFS! A Sevco fan speculating on the fate of another club. Shouldn’t be surprised really arrogance & delusion usually go hand in hand. Have you not got enough on yer plate looking for a life raft for yer new team??? Have i missed something?,,,why are the Celtic extremist posters in such a grumpy mood lately? Morning Cam, if I’m being honest mate it’s because your old club are escaping punishment, which is a fkn disgrace pal! Anyway looking forward to broony lifting the Cup later…a fantastic Champions league campaign & a domestic double! WE ARE ALL NEIL LENNON! WE ARE THE PAPAL! Have i missed something?,,,why are the Celtic posters in such a grumpy mood lately? It might have something to do with the shite posted on here by bigoted arseholes. You see carntyne,,,you’re an extremist and you’re grumpy,,,whats going on? Its like an epidemic of grumpiness in Orcdom,,,those welfare benefit cuts must really be biting. Its like being savaged by a brain dead sheep. You’re right into festering sores old bhoy,,,is Carntyne that dirty a place?,,,sounds awful,,,carbolic soap and Dettol,,that’ll sort it! Monti, you were doing well there for a while but you are going back to your old fantasist ways. Get a grip, the story isnt true, no way the desk officer would accept that your name was Bobby Sands. Scweaming and sceaming till they’re sick . morning Bill, what you on about? Poor sad old Monti,,hurting, and reduced to staggering home from the pub by himself shouting like a loon ball looking for attention. Here’s Monti getting himself cranked up! Hmmm…Yes, Monti has every reason to be hurting…Celtic league Champions for the second time in a row…Last 16 of Champion’s league… and looking forward to the Scottish cup final. Fans of the dead Rangers, having moved on to supporting the Replacement Club, on the other hand, have nothing to be hurting about having won the the extremely difficult 3rd division with some of the most gawd awful football ever seen on these shores. ….reduced to staggering home from the pub by himself shouting like a loon ball looking for attention. Jings carntyne, not only have you crawled into my lobster pot,you’re actually demanding to be boiled alive and served up with a nice sauce. The Gers fans are super happy,wait and see how many SB’s we buy. Going to Ibrox is in the blood,,,you don’t think some dafties wi bits of paper are gonna stop that? You enjoy winning another meaningless title against the dying clubs in SPHELL,,,after next seasons decider in January the Coyote will be giving seats away for free. A nice delusion, but a delusion none the less. You are just showing how shallow you are. You have no way to answer the appalling actions of the dead club Rangers, so instead you put up a facade that you don’t care about what’s happened to them. But you’re fooling no one. The rest of us know its just bluff and bluster. The pain must be unbearable. I wish you more of the same. The death of Rangers 2, also known as the Tribute Act. You really must be beelin’! Its strange that followers of the Copycat Club seem really anxious to get back to such a hell, but don’t worry about it, they’ll never make it, not with ‘Useless Eustace’ mismanaging the team. Before the end of next season 2-9 Fav. As much as i don’t think big Daly’s the way ahead as another in the long line of big target man,i hope he does well in the short time he’ll be at Rangers. New signings and good news all round for the Gers,,,long overdue. Cam your optimism is to be applauded but wake up mate, he’s a fkn cart horse & the first time he doesn’t put a shift in, turn up the volume & listen to the intolerance of this misguided Irishman, he should not put this jersey on himself ! You know I’m right Cam. With the demise of rangers, they may actually think they can become the second team in Scotland, and somehow make it into the CPL. Yes, I know, sheer “bampottery” but how else do you explain it? Sorry Monti but you’re making an absolute c**t of yourself . THERE’S AN INNER THING IN EVERY MAN, DO YOU NOT KNOW WHAT THIS THING IS MY FRIEND? GOD REST YOUR SOUL TONIGHT & EVERY NIGHT BOBBY! HH! If ever somebody was on a hiding to nothing it’s gonna be Daly. We wait and see with interest. Remember Sandaza??????? If I was a Dundee fan today, I would be very cautious. Football has been shown to be unlike most, if not all business models. Tread wary Dundee but I hope it benefits your club. With the idiots your club attracted in the past, your due a bit of luck. Well done Monti and Martybhoy. You have really represented your team tonight. Im sure everyone is proud of your contribution. @Adam….As Cam would say, a little bit of the melon twisting going on there. Don’t take it too seriously. We are all Jock Thampsons bairns. Aye…….when Celtic fans do it, its banter. When Rangers fans do its, its sectarian or racism. Dont stick up for them, it makes you equally culpable. I try not to get involved in internet arguments and skip over as much as i can. You made your point very succinctly and didn’t make a general condemnation of Celtic supporters just those few that you had an issue with. I have to support that kind of contribution. Bayern win big cup number five. They are over the moon now they can wear five stars on their shirts… They’ve been eaten up with jealousy about some long dead club that used to play in Govan had the five stars. It’s a real monkey off their back…..
I’ve read Paul McC’s blog on Keyes Capital pertaining to Dundee FC. I can only conclude that these people are from a different planet to the one I inhabit. It’s like reading something in Martian. And I don’t understand Martian. From the information I’ve gathered from those who know about such things, it is highly unlikely that anyone can make money from actually running a football club, only from devouring the dying carcass. Perhaps these slick Texans will be different. Here’s a lovely example of an upbringing that went all wrong! A thread about the greatest football team ever to grace the field in Scotland and it’s hijacked by fans of the same arse cheeks. 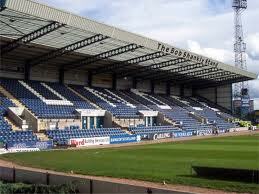 Anyway bid was rejected as it stands by the DFC Supporter’s Society on Friday. “Dundee FC has been the subject of a recent takeover bid from a consortium comprising two current directors of the club, and outside investors based in Texas. As the majority shareholder in Dundee FC thanks to the efforts of all of our members, who twice have helped this club through administration proceedings, Dundee FC Supporters’ Society has a responsibility to provide our members with sufficient information to have a full discussion and make a considered decision on such a proposal. A lack of detailed information and any due diligence has prevented the Society board from being able to do so. You are right mate. Nobody gives you money for nothing.! It is up to you, and your fellow fans to decide what you wish to do. A very fortunate position to be in, and one to be cherrished. This stuff reeks of somebody testing the resolve. There is no resonable prospect of making money out of a football club and continuing to run it. Spivs and speculators may see a way to make money but like all parasites eventually will kill the host. What does not help is the fact that the con man Bill Colvin is already in the boardroom and the CEO has a list of failed company directorships. I would not trust Gardiner as far as I could throw him. As things stand there is no money in Scottish football, however if UEFA propose regional leagues and we merge with England then an opportunity beckons. Its all about getting a share of England’s 1 billion per year media rights, we currently starve off 16 million. i guess that if the Scottish League was to join the English League Dundee would be in the 8th tier but let’s say 6th. Would that be the route to untold riches ? At best a bit of BS from another Di Stefano, at worst somebody trying to de-stabilise a very unstable club that is maybe going in the right direction. When Scotland get a share of the English League I reckon it will be because the Premier League bubble has burst. Dundee FC Supporters’ Society today replied to the consortium of investors seeking to take control of Dundee Football Club, requesting additional information and inviting further dialogue. The Society board have asked that they understand the requirement for due diligence to be conducted before any deal is agreed and requested their agreement to this, and a revision of the time limits they have placed on their offer, as these currently extend only to Friday 31st May which is insufficient either to conduct due diligence or to consult with our members on the proposed deal. The Society board has also asked the consortium for more details including the proposed use of capital injected and the three-year business plans and cashflow projections which we have not yet had sight of, and asked if the consortium would be open to discussions regarding conditions and protected matters attached to this deal. Additionally, we have proposed a solution which would allow time to conclude proper due diligence and consultation while also providing an injection of funds to boost the first team budget, and requested ongoing amicable dialogue between the parties. In light of the ongoing discussions and requests for information, the Society agreed at its board meeting yesterday that it was not in a position to provide members with a formal proposal or sufficient information to vote on, and will therefore postpone the planned Special General Meeting which was planned for 15th June. Dundee supporters are understandably keen for information and the Society has therefore called a meeting this coming Saturday, 1st June, in the Andy Penman lounge at Dens Park at noon, although it should be stressed that no vote will be taken on the day. It’s divide support many reverting to the give us the wonga short term view. Looks like we could be heading into financial uncertainty again within a few years if this does go through. Sooner have the club in any form to follow than be a foot note in history. If it was such a good deal why impose deadlines resort to brinkmanship. Just google Bill Colvin and Southern Cross and you will see that Dundee FC have yet another con man in the board room already. Add to the fact that the CEO is at it and the club are being sold down the river.